Defora Records presents “NIGRA” the debut EP by HASCHMAT. Let’s welcome onboard this freshly formed duo from the croatian island of Korčula. Both of them are part of the “exclusive” crew that each summer organize the infamous “Defora Records Villa Secret Parties” in Korčula and finally they joined forces to produce their first EP together.Marko Skokandic (aka MARKAYA)is a DJ, Promoter, Event organiser & founder of LOST IN THE RENAISSANCE. He is part of two Korčula’s underground strongholds, Defora Records & Pozor Inkobrod, who both bring the ever needed breeze of contemporary dance music to the island, making dance floor friendships last forever. Ivan Pecotic is a self taught musician, rocker in the soul, president of the Korčula Youth Association and he is currently a member of the croatian progressive rock band Sixes. The “HASCHMAT” project represents the symbiosis of two different musical souls that leads them and us together to an unexplored journey, filled with deep emotional grooves. Their debut EP it features 3 original tracks that perfectly introduce their unique style as they are currently being considered as one of the most interesting names in the Croatian south. Defora Records presents the video teaser for NIGRA (DFR035) the debut EP by croatian duo Haschmat. All info and buy/streaming links available here soon… Always Good Vibes with a Hard Twist! 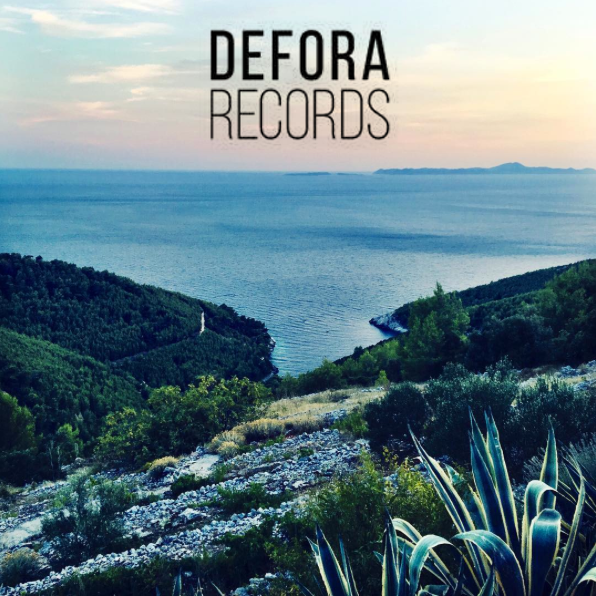 A fine selection of only tracks released by the label, that perfectly describe the distinct sound of the growing Defora Records’ family. This compilation is the first of an exclusive series of podcast mixed by label founder Latino Pellegrini (aka Manipolato). Defora Records presents the first release of 2019: “The Shadow” EP by Zakaria (DFR034). Let’s welcome to the family this talented dj/producer from Morocco, who’s real name is Zakaria Badreddine. A well known international performer and a passionate music lover since an early age, he decided to start his career as a DJ inspired by artists such as Zip , Ricardo Villalobos , Ron Trent and many more. His music is an elegant coalescence between minimalistic rhythms and raw soundscapes. In the studio and on stage, Zakaria is a perfect blend of natural talent and raw flare with a very distinctive style, influenced by his roots and taste in music. His debut EP on the label it contains 3 awesome original tracks that perfectly describe Zakaria’s unique world, plus a banging remix by Rheostat. Always Good Vibes with a Hard Twist! Defora Records proudly presents “Anormal” the new EP by Sakdat & Balaur. This talented was formed in early 2016 in Roman, Romania. After years of solo experience in music production and DJing , they joined forces and started making music together for the pleasure of many romanian underground music lovers. With the support of other rising talents in the romanian minimal scene and around the globe, their sound keeps evolving into an innovative blend of deep, minimal, dub and techno. Sakdat & Balaur are back on the label with their amazing second EP with 4 elegant original tracks that perfectly describe their unique style. Always Good Vibes with a Hard Twist!